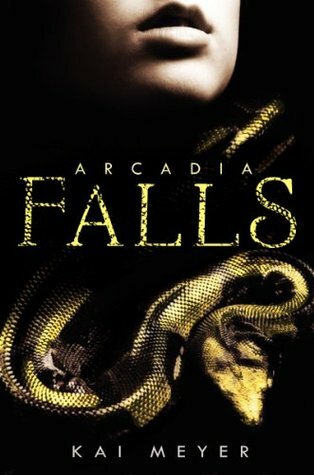 Author Question: What is your favorite thing about Fools' Gold? What I love best about Fools' Gold is the chance it gave to weave so many themes together in a story which moves along at a good pace. My four characters, who have been established in earlier books, come to an entirely new city and story and find themselves in the rich, extraordinary city of Venice. I adore Venice - I think it is my favourite city in the world and I stayed there twice while researching and writing the story. They see the Jewish ghetto and a moneychanger who is a Jew like Shylock from The Merchant of Venice, but our merchant explains the anti-semitism that the Jews of Venice suffer. They see the wealth of the city and the scholarship - they meet with street magicians and alchemists. 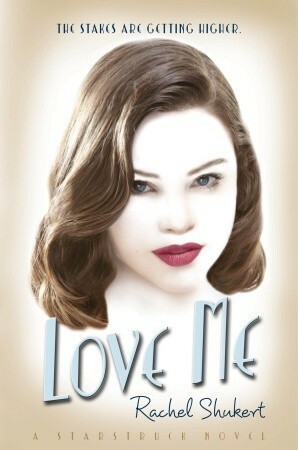 Luca gets very close to buying his father out of slavery, and he has his first love affair. The medieval Venice was teeming with adventure, danger and opportunity and they experience all this with all the glamour and colour of this most wonderful of medieval trading cities. Want more chances to win THE ORDER OF DARKNESS complete series? We're giving away three more sets here. 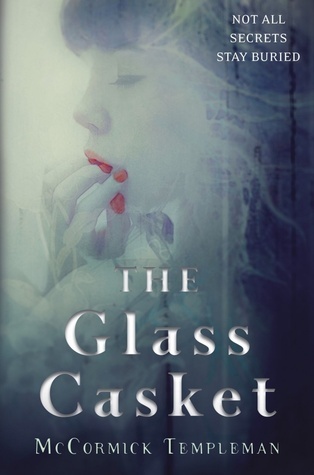 Author Question: What is your favorite thing about The Glass Casket? I think my favorite thing about The Glass Casket is the setting. I live in Southern California, and I dislike both heat and the sun, so it was kind of a dream book to write because it takes place in this gorgeous mountain village where it’s always snowing and it smells really good – pine trees everywhere. Plus there’s magic in the air and lots of mysterious creatures lurking in the forest. I drafted it really quickly in part because it was so immensely pleasurable to disappear into that world. 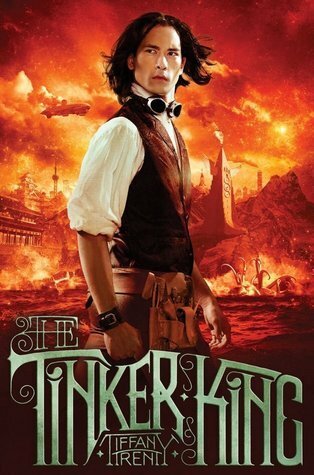 Author Question: What is your favorite thing about The Tinker King? My favorite thing about THE TINKER KING is the discovery I made about one of the characters in the process of writing it. It was a discovery that linked the origins of THE UNNATURALISTS and the dark empire of the novels. It was a true lightbulb moment, but I suppose I can’t say much more about it because that would be spoilery. The other thing (though I suppose this may be somewhat spoilery, too) I loved was getting my characters out of New London and into a new city. Somehow, Scientia was much easier to write than New London. Its history and geography popped into my head almost fully formed. And what wasn’t readily apparent during my brainstorming sessions came easily as I was writing. It was a very fun city to write with its sprawling palace, haunted ruins, and air car transportation system. And I was very curious to see what the Grimgorns had done with the place after they’d taken it over early in the history of the Empire. The palace ruins were inspired by a trip I took to the Forbidden City in Beijing, as well as my interest in Xian and the terracotta warriors there. As per usual with settings I love, I got a little carried away and ending up writing the plot of an entirely different bit of backstory that would be wonderful to play with someday. 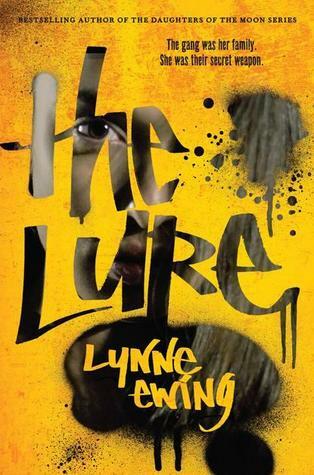 Of course for the sake of the novel at hand, I had to rein myself in, but writing all that backstory and knowing that it was beneath the surface of the novel made it that much more fun. 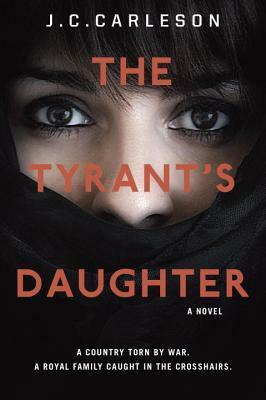 Author Question: What is your favorite thing about The Tyrant's Daughter? I'd have to say that my favorite thing about this book is that it is so much more personal than my previous books. Although I technically have very little in common with Laila, the main character (I'm neither from the Middle East nor am I the daughter of a dictator), her reactions and emotions are very much my own. As a former CIA officer, I've had the privilege of traveling all over the world, and I've lived in a number of other countries. Because of this, I know all too well how disorienting it can be to be thrust into a different culture. Living far away from everything that is familiar to you be exhilarating and wonderful one moment, and then threatening and confusing in the next. I feel like I really managed to capture those vacillating emotions and both the funny and the not-so-funny parts of extreme culture shock that I know all too well. Author Question: What is your favorite thing about Willow? What I value the most about this book was the ability to put almost ten years of research to work in this context. 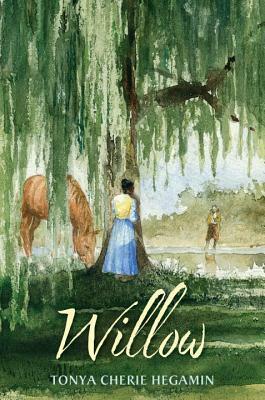 At its deepest core, I wrote Willow because I’m fascinated by the dynamics of race and familial relationships, and when I read accounts of slave life, it became clear that the most painful and fascinating stories of slavery were the complicated politics of mixed race families. I also am grateful to have the opportunity to re-vision history in order to give a young black woman agency and empowered choice. However, I also love a good tangled romance, and I love simple historical details, like how dedicated men of a certain class were to their neckties and secret societies. Finding stuff like that is what keeps you learning and immersing yourself in the time period. For instance, I hadn’t originally intended to take Willow to the city, but the amount of research I had done made it irresistible, especially when exploring with characters like Silvey and Little Luck. I’ve often said that I don’t want to write history, I want to re-write it! 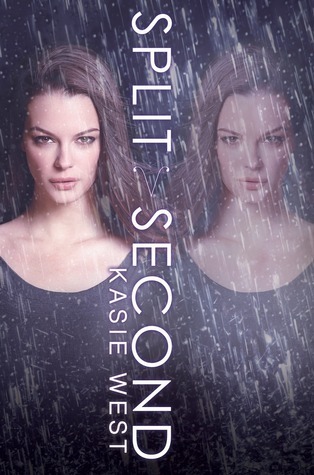 Author Question: What is your favorite thing about Split Second? Just one?? This is my baby. I love so much about it. But if I can only pick one then I have to go with Laila/Connor. That's one thing, right? Should I combine their names so it looks like one thing? Lonnor? Caila? I know, I know, but what about Trevor? You might ask. And don't worry, he's in this book and plays a big role and I love him too. But he and Addie would be my favorite thing about Pivot Point, so I had to pick something different. I'm going to cheat a little and pick something else as well. I really enjoyed delving into the world more in this book. I was able to share so much more about the Compound and how it works and the way it functions. It was fun to be able to write more about that. I really hope you all enjoy Split Second. I'm sad that this is the end of this story for me. It's bitter sweet. 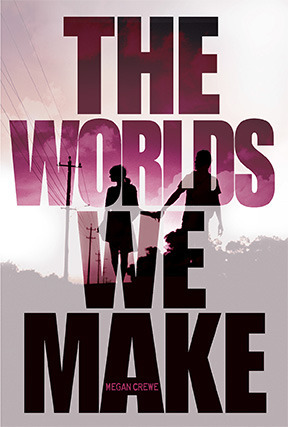 Author Question: What is your favorite thing about The Worlds We Make? My favorite thing about THE WORLDS WE MAKE is that, as the end of the trilogy, I got to wrap up threads I'd been spinning out across three books and finally give the characters a real resolution. (Though, like life, not everything is wrapped up in a perfect little bow.) This was my first time writing a trilogy, and it feels like quite an accomplishment to be finishing it! I've spent so much time with these characters, it was wonderful (and sometimes heartbreaking) to see them reach the potential they'd been growing toward throughout the trilogy and to get to share that. This is the best ending I can imagine for them--I can only hope readers feel the same way! Mafia clan leader Rosa Alcantara's life is falling apart: everyone she loves is dead and everything she's ever known about her family is a lie. 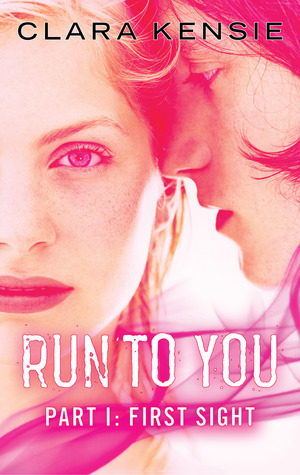 Even so, Rosa and her boyfriend, rival leader Alessandro Carnevare, refuse to give up on their love for each other. 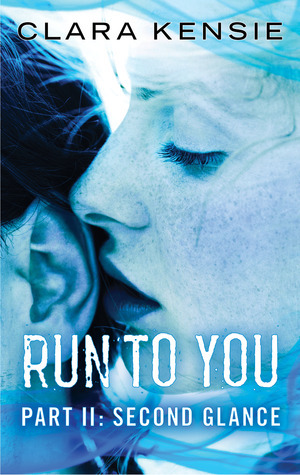 On the run from their adversaries and searching for answers, Rosa and Alessandro begin to unravel the secret behind the conspiracy to keep them apart: an ancient prophecy that predicted the destruction of all Arcadia. 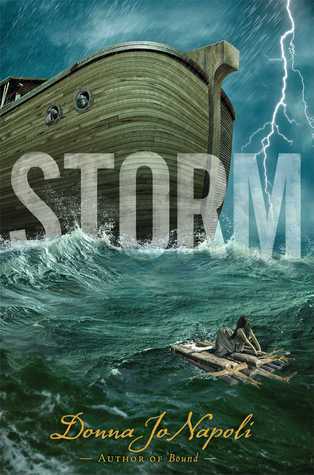 A sixteen-year-old stowaway discovers her destiny on Noah’s ark in this riveting reimagining from award-winning author Donna Jo Napoli, available in time for the March 2014 major motion picture Noah. The rain starts suddenly, hard and fast. After days of downpour, her family lost, Sebah takes shelter in a tree, eating pine cones and the raw meat of animals that float by. With each passing day, her companion, a boy named Aban, grows weaker. When their tree is struck by lightning, Sebah is tempted just to die in the flames rather than succumb to a slow, watery death. Instead, she and Aban build a raft. What they find on the stormy seas is beyond imagining: a gigantic ark. But Sebah does not know what she’ll find on board, and Aban is too weak to leave their raft. 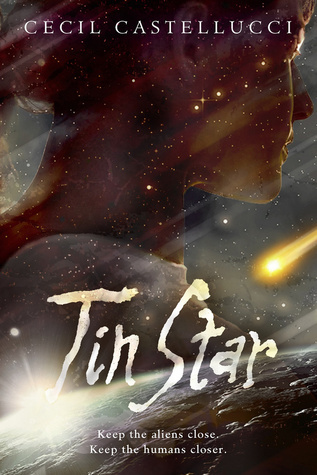 Themes of family, loss, and ultimately, survival and love make for a timeless story. Donna Jo Napoli has imagined a new protagonist to tell the story of Noah and his ark. As rain batters the earth, Noah, his family, and hordes of animals wait out the storm, ready to carry out their duty of repopulating the earth. Hidden below deck…is Sebah. Thanks for the giveaway! There are so many that are on my list in this giveaway to read this year. Fingers crossed. So excited for the release of Split Second! The Glass casket looks so creepy!! I love these posts - always gives me more books to add to my EVER-growing TBR shelf! Wow-zer. 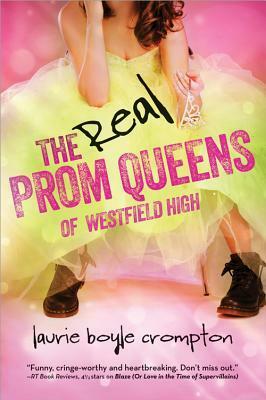 There are so many books in this one! Glass Casket look has caught my attention… Thanks for the giveaway! 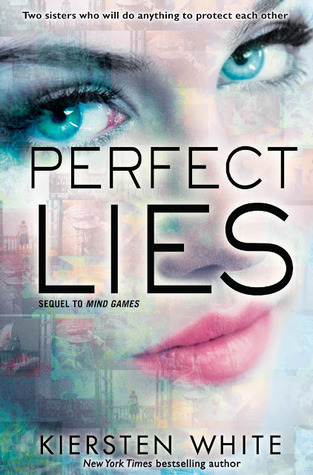 Perfect Lies, Grasshopper Jungle, Arcadia Falls, and White Space all look really good! Holy Cow - great list of books. Definitely gotta read White Space. Wow! So many good books! White Space sounds particularly good! Thanks, as always, for the giveaway. 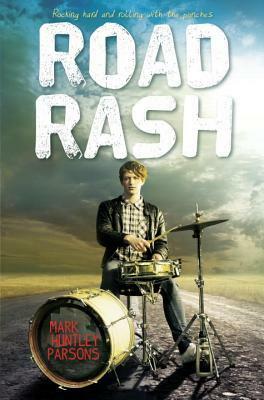 Road Rash sounds just the ticket for my rock drummer son! 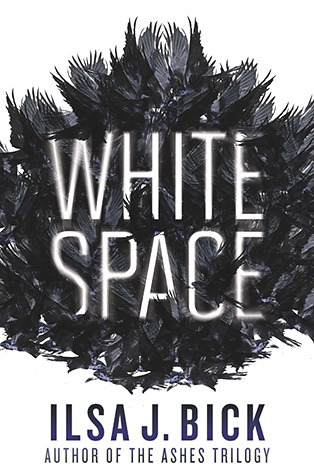 I would love to read White Space by Ilsa J Bick. I love her Ashes series so much. Thanks for the huge list this week. I've got my fingers crossed for a few of them but The Glass Casket for sure. Have a great weekend. Road Rash looks really great. So do a lot of others on this list. My TBR list grows. Congrats to all the winners. Thanks for the chance to win. White Space sounds amazing. 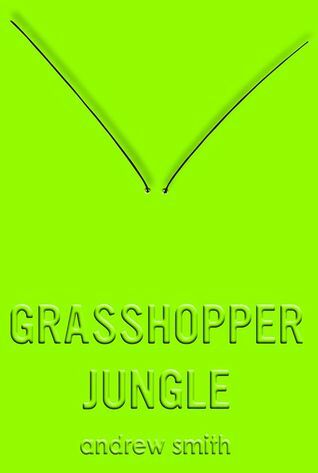 I always love a book that pushes the norm, using experimental story techniques. And yah for drummers! This is another fabulous week!!! So bloody eager to read Split Second! Ooooh, I haven't read Fools' Gold! Yay! 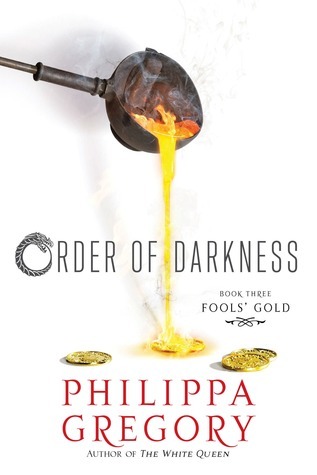 I really want to read the Order of Darkness series! Thanks for the giveaway! I want to read pretty much everything here! I really want to read the Glass Casket. It sounds very good. Lots of great reads. Thanks for the awesome giveaway. All of these books look amazing! 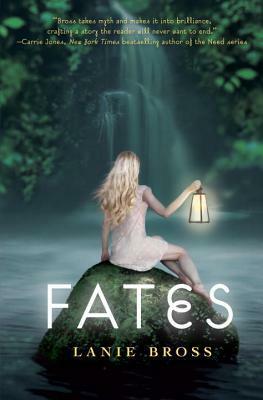 I'm super excited for Fates and the Tyrant's Daughter was really good! Wonderful Giveaway! These books all look great! Thank you for the giveaway! My wife and I love books! What an awesome and HUGE give-a-way!!! 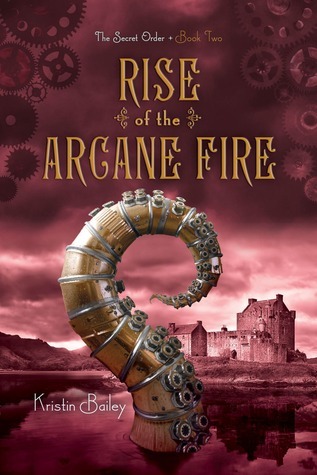 Great books, GREAT BLOG! !